Education is the single best way to break the cycle of poverty, yet every year, there are children in schools that do not have to tools they need to break that cycle. 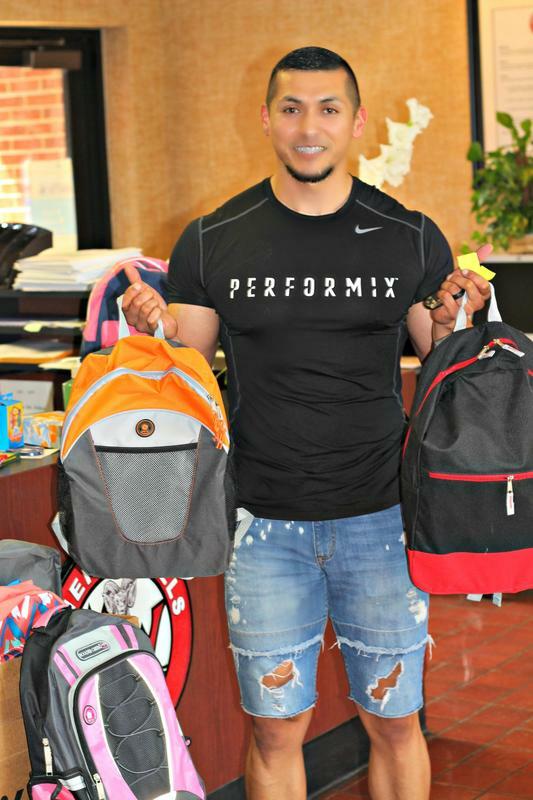 Several local businesses this year have stepped up to fill that need, transforming our small community by providing something as simple as school supplies. As one of America’s leading veterans service organizations with over 250,000 members, AMVETS has a history of assisting veterans and sponsoring numerous programs that serve the country and its citizens. “To enhance and safeguard the entitlements for all American Veterans who have served honorably and to improve the quality of life for them, their families, and the communities where they live through leadership, advocacy and services”. 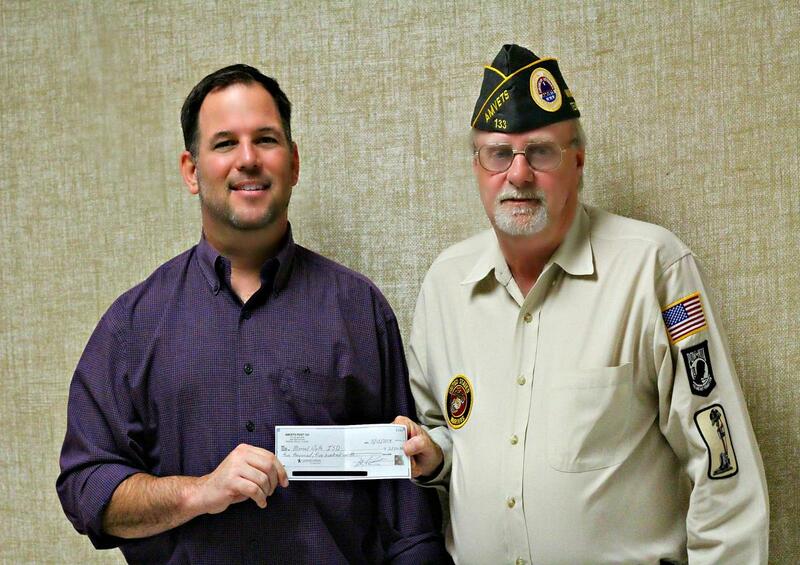 Members of Mineral Wells Post 133 AMVETS , recently gave a generous donation to the District to provide school supplies to children in need. Pioneered by local AMVET Commander Clay Roundtree and others, this project will continue to be a resource for students throughout the entire school year and will give AMVETS the opportunity each day to make a difference in the life of a child. Mineral Wells ISD Board of Trustees appreciates their support and are thankful to have AMVETS as one of our Partners in Education in September. Poverty can seriously hinder educational success. It's likely one of the steepest hurdles to educational attainment. 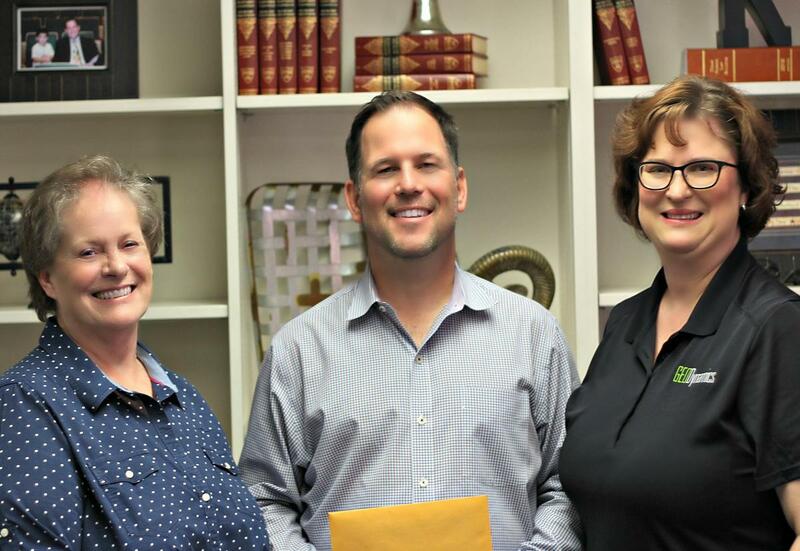 As a result of their generosity, GEODynamics in Millsap, provided back to school supplies to our students and also gave a monetary donation to provide students in need with school supplies throughout the course of the academic year. Back to school is a crucial time of the year for many of those in need, who rely on assistance. GEODynamics’ dedication helped make providing the necessary resources for our students that much easier. The MWISD Board of Trustees recognizes GEODynamics as one of our September Partners in Education. A bold message “Facing the challenges of tomorrow, today” scrolls across the screen, when you visit the Weatherford Aerospace website. It states that they “strive for excellence in every aspect of its business”. The meaning of this message can also be applied to the work Weatherford Aerospace is doing within the community. General Manager, Alfonso Salis recently spearheaded a Back to School Supply Drive at Weatherford Aerospace. He personally contacted our District and requested a copy of the MWISD school supply list. Then along with the entire staff at Weatherford Aerospace, they provided boxes of pre-assembled backpacks filled with essential school supplies for grades pre-K-8th grade. By placing these backpacks into the hands of our children, Weatherford Aerospace gave them the necessary tools they needed to start school, along with the confidence to succeed throughout the year. The Board of Trustees honored Weatherford Aerospace for their contribution. Teachers often spend hours preparing classroom lesson plans to reinforce the material students are required to learn, and many share their best materials with colleagues. TeachersPayTeachers.com, (TPT) is an online marketplace where educators can buy and sell lesson plans. TPT is like a virtual teacher’s lounge for those who may not have the collaboration or resources they desire. 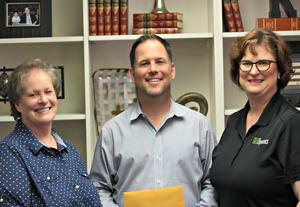 Comanche National Bank & branch bank-The Bank of Mineral Wells has provided a generous grant to sponsor some of our teachers with educational lessons and classroom tools through the TPT program. By harnessing the power of teacher-created resources, our teachers will have access to more ideas provided by experienced teachers who face the same classroom challenges as they do. Tonight, the Board of Trustees would like to honor Comanche National Bank and the Bank of Mineral Wells for the teacher grant. They are truly making a difference in the lives of our students by providing access to academic tools for our educators in the classroom. 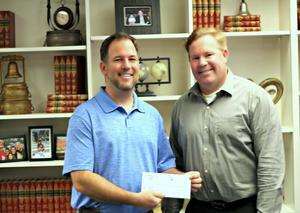 Clint Myrick and Joe Ruelas from the Bank of Mineral Wells, Thank you again for your support.